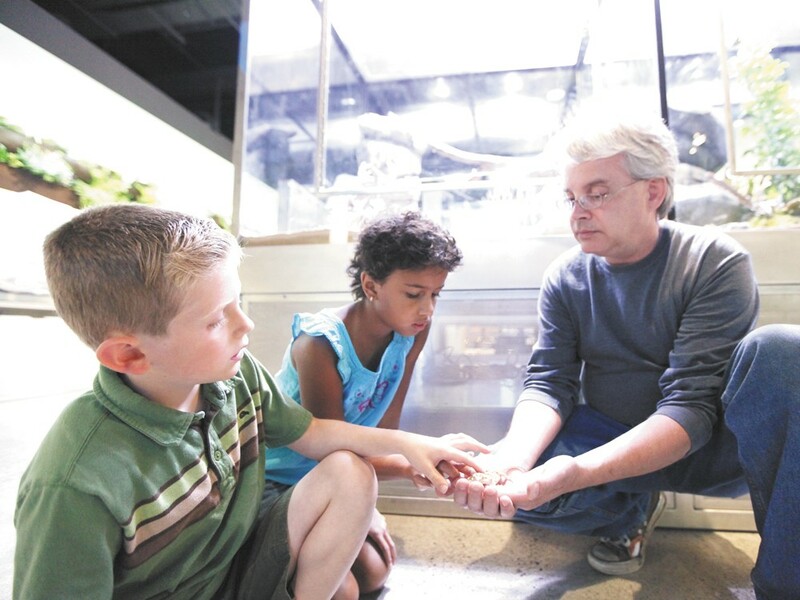 Jonas, left, and Olivia, center, pet a bearded dragon at Mobius Science Center. Modeled after innovative science centers — San Francisco’s Exploratorium, Portland’s OMSI and Albuquerque’s Explora — the new Mobius Science Center highlights aerospace, fluid dynamics, the human body, space, music, in addition to physics and phenomenon. In 2005, the non-profit Mobius Spokane fused the Inland Northwest Science and Technology Center with the Children’s Museum of Spokane. Since then, the vision to create a hands-on, imaginative and enthusiastic place to experience science is now real. First came the Mobius Children’s Museum, a center for kids to “play to learn.” Now the Mobius Science Center (MSC) brings that excitement of hands-on learning for people of all ages across the street from River Park Square. He sees Mobius bringing the same excitement for adults. Single mother Holly Wiltison and her 7-year-old son, Matthew, look forward to the science center’s opening. “Playing and learning don’t need to be two separate things. The hands-on opportunity this presents is so much more effective than, say, a concept from a book,” says Wiltison. MSC’s public debut is August 3, but come September 8, Mobius is planning a grand opening with an all-day science fair. Mayor David Condon, state senators and representatives, and astronaut Dr. Bonnie Dunbar are expected to attend. Individuals, businesses, corporate sponsorships and grants have heavily funded MSC’s $12 million construction project. MSC is not just a 28,000-square-foot museum, says Majer, with its 65 hands-on stations, including a digital autopsy table and other interactive exhibits. As MSC leads as a community and business-supported effort, the better chance for science to become ingrained in our culture, perhaps accelerating the country’s competitive edge in global technology. “As a nation, we are getting our butts kicked when it comes to preparing our kids for the economy of the future,” says Majer.